Sphere-forming assays are an in vitro technique to assay both normal and neoplastic cells for clonogenic growth potential. Currently, the identification of adult progenitors in the pancreas remains an area of intense investigation. The use of sphere-forming assays provides a critical step to identify new cell types in the pancreas that are capable of clonogenic growth and differentiation. In the field of cancer biology, cancer stem cells have been defined functionally by two major criteria: their ability to undergo self-renewal and their ability to produce differentiated progeny, two conditions which satisfy the criteria of stem cells. 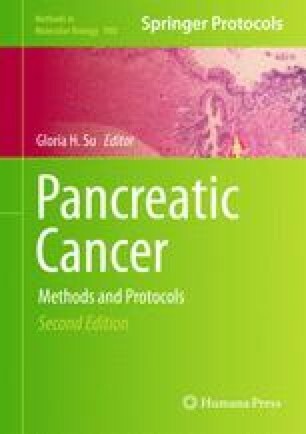 Here we briefly review both the capabilities of pancreatosphere and pancreatic tumorsphere assays, discuss important caveats regarding their use, and provide detailed protocols for the assay of both normal and neoplastic cells. Authors Julia Wang and Jennifer M. Bailey both contributed equally to this work. This work was supported by NIH grants R01DK56211 and R21CA158898 to S.D.L. and by NIH F32CA157044 and the AACR/PanCAN Pathway to Leadership Award to J.M.B. S.D.L. is additionally supported by the Paul K. Neumann Professorship in Pancreatic Cancer.